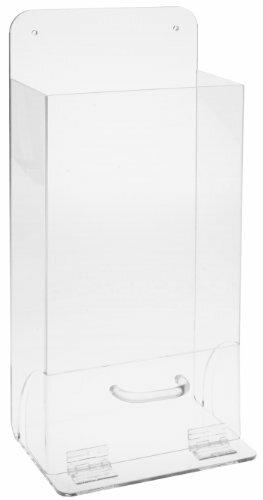 Brady MVSD/45666 deluxe visitor spec dispenser, each dispensers holds approximately 20-25 glasses, wall mount only. Size is 18" height, 8" width, 4"depth. Legend is "SAFETY GLASSES", color is black and white on clear, and material is tough acrylic clear plastic.